We just want a story to tell our grandson on our deathbed, so he thinks we’re absolute legends…. I want to tell him “Listen you may think you’re cool with your IPhone 23 and you’re virtual reality vacations and your self-driving cars. Well back in 2016, life wasn’t all-perfect. Rainforests were being destroyed and there was this thing called climate change. Also, not only were kids unable to teleport to school, some kids didn’t even have a school! 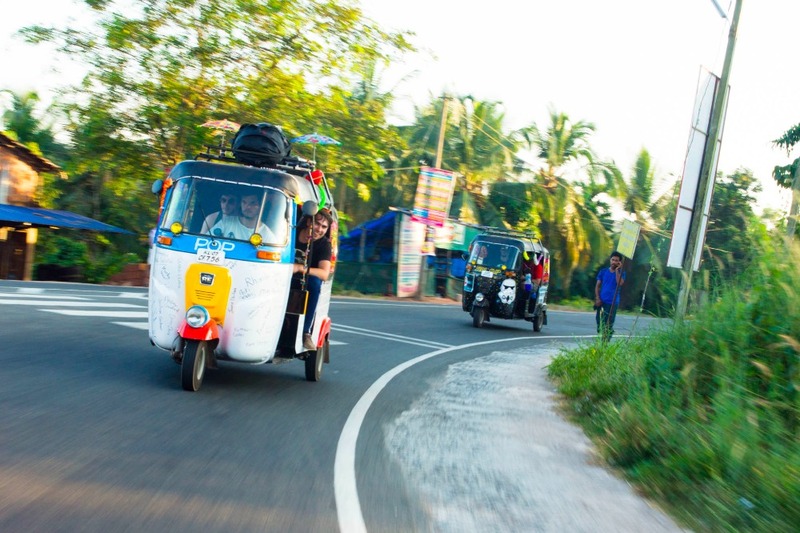 A 14-day road trip from the bottom of India to the top in a 3-wheeled Tuk Tuk (a tricycle with an engine). 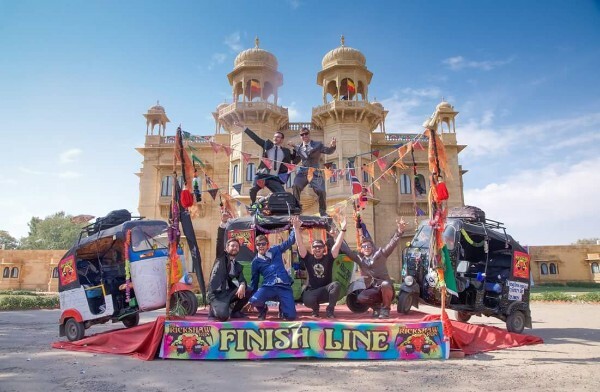 There would be many wrong turns, mechanical and mental breakdowns, mutinies, a love-hate relationship with Indian food, all while raising money for charities saving the world. I went through every stage of acceptance learning that these highly unstable glorified tricycles will break down continuously; there will be no set directions and more obstacles in our path than a Japanese game show. There was 1.2 billion people in India, 140 million vehicles and 7 lads who don’t know North from South. Because behind the madness there is actually a very good cause. ALL proceeds go directly to two epic charities, one being The Adventurists designated charity: Cool Earth. The rest will go towards a non-profit close our hearts: World Teacher Aid. Cool Earth is an environmental charity that works in partnership with the indigenous communities. The charity only protects rainforest that without intervention will be destroyed within the next 18 months. Cool Earth works strategically, protecting forest that acts as a barrier to a wider landscape. The charity spends just over 10% of your donation on admin and governance making sure as much as possible goes to project areas. Through working with local people, Cool Earth makes sure conservation goes hand and hand with better livelihoods. World Teacher Aid is a Canadian charity committed to improving education throughout the developing world. This is our charity of choice because we have a strong bond with the founders and have witnessed the direct result of previous donations. Our filmmakers just recently aligned with WTA to produce new films to help raise awareness for the cause and ended up feeling compelled to contribute themselves. As a charity, WTA is committed to feeding children today and educating for tomorrow. They accomplish this vision through the renovation and or construction of schools and the implementation of sustainable feeding programs. Before beginning to work with a community, they ensure that the locals are on board with the goal. A community must be settled and show leadership before committing to a project. Also looking for commitment from the Government, ensuring that if they step in and build the school, there will be support for ongoing expenses, such as teachers salaries. We have made it to the finish! With one minute to spare we limped into Jaisalmer in the middle of the Rajasthan desert. The past 2 weeks have been an absolute rollercoaster. There where many highs of the trip including being invited into a roof top rave party that turned out to be a 1 year olds birthday. But there were also some tough times including 6 out of 7 guys getting delly belly mid way through. We wouldn't change a thing about the adventure. 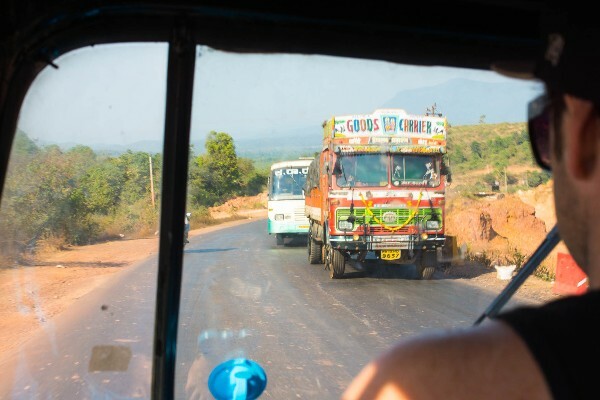 The Rickshaw Run has opened our eyes to the beauty of India and its people. Never did we expect the celebrity type status each time we turn up in a town. Now to editing all the footage so we can show everyone our crazy adventure. Keep an eye out on this page for the clips dropping soon. Thank you so much to all our donors so for helping us raise $9,300 so far. There is still time to donate! We are still hoping to reach our goal of $20,000 to help build a school for World Teachers Aid. The days are flying past on the rickshaw run. Everything is go go go as the ground we have to cover in 2 weeks is huge! 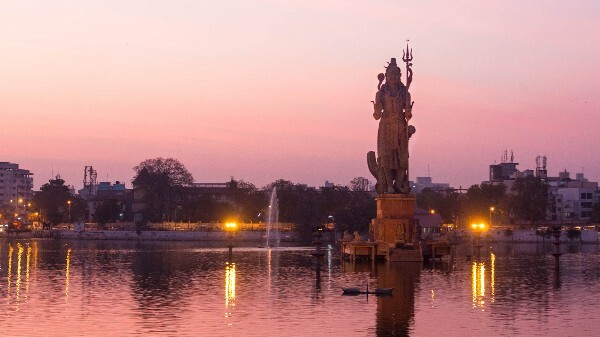 Day 10 brought us into Vadodara. Making some good ks during the day we headed out to the busseling night markets. Wasn't long before the boys found a large bag of India's finest chillies. A challenge was laid out and the whole gang ate an assortment of chillies that was sure to give us ring burn the next day. We found out the hard way the green one is the hottest. With symptoms ranging from dry renching, burning ears, numbness, trouble speaking and wobbly legs. It was not a pleasent experience. The city was amazing and it is clear the north is more populated as we are experiencing much better roads than down south. Not long left! It seems to be going so fast. Day 7 and 8 brought our toughest challenge yet. The infamous Delly Belly finally hit. After leaving the beautiful beaches of Goa we put the foot down to make up for lost time. Driving up the coast was absolutely incredible. No one expected to see Thailand like beaches in India but they are here. And you can swim in them without getting a plastic bag wrapped around your leg. Needless to say many stops where made to cool off. Arriving at our hotel for the night a few of the boys started to feel a bit ill. This worsened as the night went on with 3 of the guys having a pretty crazy 12 hour period on the toilet. After getting lost. Ending up on gravel roads and multiple stops for toilet breaks, the day from hell finally finished in Cuplin. Oh and did I mention we broke down again as well? These 2 days were easily our hardest. Today we have hit the road early. We have to average 220 ks a day if we are going to make it. The spirit is high as the delly belly is gone but who knows what the country will serve us up next. Day 2 of the rickshaw run done and dusted. Another epic day with more than our fair share of drama. This was our first full day of driving snap, crackle and pop. Straight off the bat 30mins into our morning drive we came across a flipped truck blocking the road. Thankfully no one was hurt but it held our progress up for a good amount of time. Finally with the pedal to the metal, crackle thought she had had enough and died on us going up a hill. With a bit of tender love and a cool down we managed to get her started again and back on the road an hour later. We have had so many close calls with buses, trucks, bikes and it's only Day 2! Lucky our hotel is not to bad tonight so can calm some nerves with Indian Whiskey. Forgive me if I missed this but what IS your FB page? And BTW, LOVE Ft Cochin Had one of the best massages of my life there at the Koder House spa. Woman held a rope dangling from ceiling for balance and walked her oiled feet all over prone me. Wild. Highly recommend you try before you blast off into God knows what. Well done Phil and team! Awesome achievement! Well done guys, good fun and a great cause! Was interesting watching your progress...should have had more media attention! Was awesome to watch your EPIC journey boys thanks for sharing it and caring about what we do in this world. Let keep changing this world for the better. Well done boys. Keep safe. See you when you get home Trav.